A hot chocolate, blanket and a good book – that’s the perfect cold rainy day combination, don’t you think? 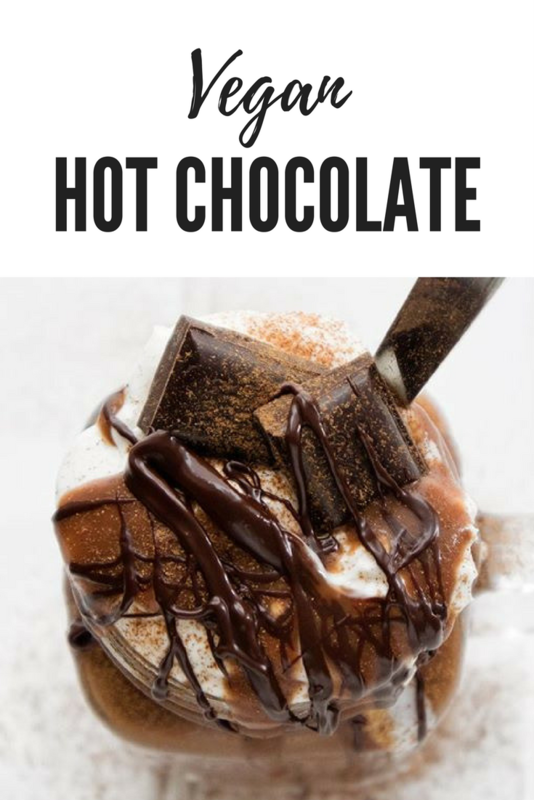 I haven’t had a proper good hot chocolate in years before creating this one – dark chocolate powders simply don’t cut it for me to create a comforting hot drink. After finding the Mr Organic Chocolate spread though – which tastes absolutely amazing and #omgIcantbelieveitsvegan – I gave melting it in oat milk a try, and voila! Here we are! Funny enough: the day I planned to create this, was a Sunday and as I was busy during the day I wanted to photograph the recipe early in the morning. Sounds simple and I wish it had been! Come 8am on Sunday morning and I realise I am completely out of plant-milk! ‘No problem’ – I live right next to a Sainsbury’s… I thought until I stood in front of closed doors. Sundays…. right?! Plan B had to come to the test and I simply decided to make my own oat milk to create the hot chocolate, which then also inspired the oat milk recipe that is already on my blog here. For my hot chocolate I had to thin out my diy oat milk, it will definitely be ‘thin’ enough with store bought oat milk though – feel free to use your favourite oat, rice, hemp, soy or coconut milk (yum, coconut!) & let me know what’s your favourite! Heat up 300ml of oat milk on the stove and add in the Mr Organic Chocolate & Hazelnut Spread once the liquid starts steaming. Add the cinnamon and agave nectar Mix well using a whisk while your hot chocolate heats up, but ensure that it does not start bubbling, otherwise your oat milk will start thickening too much. 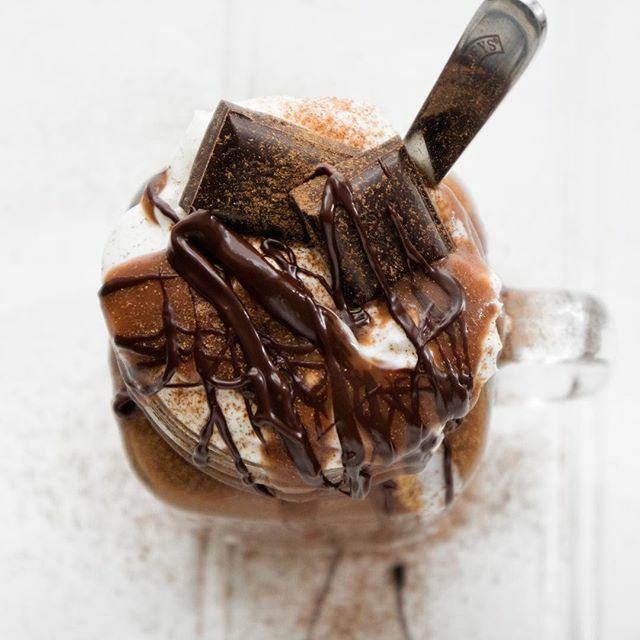 Once your Hot Chocolate reaches your desired temperature, transfer it into a mug and add your favourite toppings. Looking for more food inspo? Make sure to follow me on Instagram!